Alyce Faye Wattleton is a famous nurse who is still fighting for the equality of women. While some may disagree with her stand on issues, she is strong in her beliefs and brings integrity and determination to her quest for improving the lives of women. Alyce Faye Wattleton, born on July 8, 1943, in St. Louis, Missouri, was the only child of a Church of God minister and a factory worker. She was raised in a family of independent thinkers. A very intelligent child, she started school at the age of four and graduated from high school at the age of 16. Her early life was very stable, but her teenage years were spent with relatives or friends while her mother traveled as a preacher. She described those years as very lonely. Her family moved to Cleveland, Ohio, when her mother became the minister of a large church, and Faye, as she was called, entered the Ohio State University to fulfill her lifelong dream of becoming a nurse. As part of her education, she worked at the Children's Hospital in Columbus, and that experience influenced her later career choice. She was profoundly affected by the incidences of abuse, neglect and disease that she saw and equated them with the need for women's reproductive rights. After graduating from Ohio State, she enrolled at Columbia University to study maternal and infant health. Her clinical experiences there further convinced her that she had to help women obtain reproductive rights. At Harlem Hospital in New York, she saw many women suffering from complications of unskilled abortions. Before abortions were legalized in the 1960s, many women tried to end their pregnancies with sometimes disastrous results. This further reinforced her resolve to gain reproductive choice for women. After earning her Master of Science degree and certification as a nurse-midwife from Columbia University in 1967, Waddleton worked as a public health nurse in Dayton, Ohio. Three years later, she became the executive director of the city's Planned Parenthood organization. In 1978, she was elected president of the Planned Parenthood Federation of America and became the first African-American and youngest person ever to hold that office as well as the first female president since Margaret Sanger, its founder. Roe v Wade was upheld by the Supreme Court in 1973. The debate over abortion rights was highly charged, and Wattleton's tenure as president of Planned Parenthood was during difficult times. The main issue was whether women or the government should decide what happened to their bodies. There were personal threats to Wattleton and health workers in Planned Parenthood clinics across the country as well as shootings, bomb threats and fires. Throughout it all, Wattleton never wavered in her belief of reproductive freedom for women, including abortion. 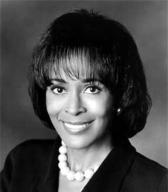 Wattleton stood her ground and once said that sustaining change is sometimes more difficult than creating change. She urged the Planned Parenthood Federation to greater political activism and cautioned them not to take women's rights for granted. It was reported that internal disagreements led her to resign as president in 1992. Following her resignation, she wrote an autobiography, Life on the Line, in which she explains her beliefs and how she arrived at them. In 1996, she founded the Center for Gender Equality. Her hope is to provide a place for discussion of everything concerning women's lives and come to an understanding of gender issues that prevent women from equality. She stresses the role that women's inequality plays in poverty and champions the cause of women's rights. She has received numerous awards and many honorary doctoral degrees. Abortion is a highly charged issue and there are good people on each side. Faye Wattleton has dedicated her life to fighting for equality and reproductive rights for women. While not everyone agrees with her beliefs, she has remained true to herself and not wavered in her mission.